Iraq government is considering to ban PlayerUnknown's Battleground Mobile along with other multiplayer online games. The Iraqi Parliament proposed to ban online multiplayer games like PlayerUnknown's Battleground, Fortnite Battle Royale and such other titles. According to government officials, the online multiplayer games are corrupting the minds of the youth and supporting violent fantasies. 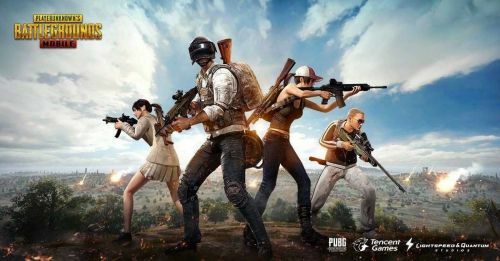 According to a recent report on the internet, the Cultural Parliamentary Committee of Iraq submitted a report on April 13, 2019, seeking a ban on online multiplayer games, especially on PlayerUnknown's Battleground. “The committee is concerned about the obsession over these electronic games that ignite violence among children and youth." She added, "Its influence has spread rapidly among Iraq’s society,”. PlayerUnknown's Battleground Mobile has been getting negative attention from many countries authorities. Countries like India, Nepal, UAE and now Iraq along with some other have reported crimes that have occurred due to the famous battle royale title PUBG. The game was banned in many of the cities in India and later it was banned in Nepal by the government. PlayerUnknown's Battleground Mobile is on the verge of getting banned in UAE as guardians seek for a ban from the government. At a glance it looks like the whole world is against PUBG and thinks only the negative aspects of it. We should keep in mind that there were incidents which were reported to have occurred due to PUBG, though upon investigation it was not the case.